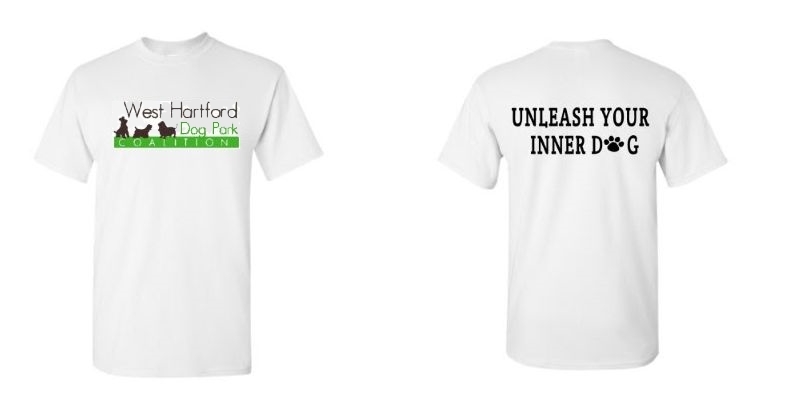 Tee shirts will be high quality 100% cotton, printed with our logo on the front, and “Unleash Your Inner Dog” on the back. Sizes available are S,M,L, XL and Kids L. Order now for mid-late May delivery, for only $12 for each shirt. Just in time to wear when you walk with us in the Memorial Day Parade! Tee’s purchased after May 1 will be $15. -Use the “Send money to friends and family” option, so we don’t have to pay service fees. -In the Notes please put your name, contact info, and the sizes you would like. Proceeds support the Dog Park Coalition.